Township, developed by Playrix, being one of the most popular city-building simulators (available on Android, iOS, MacOS and Flash), has an excellent in-game currency management system using coins. But as the resources are quite hard to be earned as a beginner, we would be stating the ideal Township hack to earn surplus coins daily, and enhance your in-game experience. The game serves treasures for its regular players, as they can get a bunch of Township free coins every single day, just by logging in to the game. Just log in to the game, and after a few seconds, you’ll observe a box pop up labelled as Daily Rewards. Click on the reward to claim it, and bam! You’ve got free coins without spending even a minute in the game. If you log in for more than 5 days, you’ll keep on receiving 1200 Township free cash every day after that, and trust me, even though it seems to be too low right now, you’ll find it extremely helpful during the intermediate stages of the game. As you keep levelling up, the rewards from other sources degrade in their values. But Daily Rewards would remain the same even if you keep logging in for decades consecutively. This Township hack works only when you log in every day, otherwise the rewards will be reset to Day 1 straight away. With this convenient Township hack, in every few hours, you can collect gifts from various parts of your township. These are offered by the local citizens to you for keeping them happy from time-to-time. These gifts can be collected by clicking on the balloon symbol on top of several locations in your town. To receive these gifts using such Township cheats, you must work hard and maintain your city, in order to make the people satisfied through your services. Keep logging in more often to collect gifts, as you can get 100-200 coins worth of rewards in just 1 hour, and sometimes even more, depending on the total population of your town. Yes, you heard that right. With this Township hack, you can win additional coins by participating in Regatta races & leagues every day. To claim your rewards, go to the Regatta house in your city. The symbol of a trophy displayed above it shows that you’ve attained a good position in the race and are eligible for a reward. It displays your Co-op score along with your Co-op position in the Regatta race. You can also view your overall position in the race, and try to improvise according to it. A good and easy Township hack for earning additional coins and experience points is to help your friends by donating excess resources. You have 2 types of friends in this game: (i) Common friends; and (ii) Co-op friends. (i) Common friends – To gain coins from such friends, go to the list of common friends – Choose any player, followed by clicking on his Train Station – Load the resources requested by him, by clicking on the respective boogie. That’s all, now you can have your free coins and experience points. (ii) Co-op friends – For donating to such friends, go to the Co-op community page – Check for any product request messages – Click on the ‘Help’ button in any such request message to donate. But, just as a precaution, check the required number of resources by clicking on the boogie once, and don’t try to show generosity by donating items that you lack in. You can have a number of cafes in your town, through which you can sell the products that you grow in the farms, such as strawberries, coconuts, etc. By putting up such items on sale, you can earn coins, experience points and hearts in the game. You can gain thousands of coins as profit, by selling up to 8 products in your cafe. The items may get sold quickly, thus it’s a great option to peek upon the cafe every now and then. Put up new products whenever you have them, at the earliest. This is the perfect Township hack to earn the most amount of coins in the shortest span of time. (i) Stock up various items by farming, or requesting from your co-op friends. (ii) Load the products according to their respective orders into the aeroplane/helicopter. For loading in an aeroplane, click on the little white button on bottom-right of the screen with a dedicated symbol. When all the boxes are loaded, send the aeroplane off by pressing the green button. For shipping through a helicopter, just load the orders and send it to their respective consignees by clicking on their locations marked on the map. Player may earn a large number of coins through a single order. Receive experience points for free, which can help level up your profile. You can increase your town’s business capitals by buying more number of helicopters and planes to deliver orders. Another effective Township hack is to upgrade your barn to higher levels in order to match its storage capacity to that of your city’s production facilities. (i) Click on your town’s barn icon. (ii) Choose the category and item that you’d like to sell. (iii) Confirm the sale by selecting the number of that item to be sold and clicking on the ‘Sell’ button. Check the number of materials that you have, before deciding to sell them. Farming of certain items takes a whole lot of time, that’s why it’s better to be safe than sorry. You have an option to sell off the smaller and unnecessary houses in your province, to plan and organise your town into a beautiful version of itself. (i) Enter the EDIT mode in the game. (ii) Click on the house/decorative item that you wish to sell. (iii) Very importantly, check the value for which the house is ready to be sold. Don’t sell the bigger in order to gain more coins, as it will spoil your city’s ambience. (iii) Press the green ‘Sell’ button to confirm your transaction. It will free up much of the unused space in your town and at the same time, will earn you the much-deserved coins. Although it will cut down the population by a minimal extent, you can utilize the coins received from the sale, to upgrade another building and gain the population back again. Bigger is the building that you sell, more will be the number of coins received. But try not to get rid of the higher tier buildings just for earning a few coins. This can demolish a large population of your city, and also there’s only loss in selling the bigger houses. Because the coins received by selling it would be hardly 1/3rd of the total price paid for upgrading it to that level. To know more about ways to earn coins in township you can check out the following source. What About Township Online Hack Tools And Generators? Fact : – Being a fully cloud-based game, Township can’t be hacked through any method, to make it produce unlimited rewards. 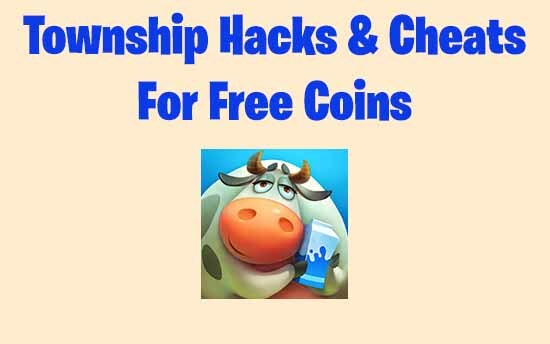 Hence, all such fake and false websites and apps published on the internet and claiming to provide unlimited free coins are hoax and does not work, They implement such engrossing titles and taglines for getting more views. They will mostly display ads and collect reviews from you, or ask you to unlock offers by installing and signing up to various other fraud apps & websites. Don’t provide any personal details to these scams, as your data is sold to marketing and advertising agencies. Your account in the game may get banned for using such unlawful cheats for Township to earn more coins. Please give sufficient time and efforts to the game in order to excel in it. There’s certainly no other shortcut to ‘winning’ the game in a really short time period. Implement only legit and useful Township cheats, as stated above in this article, to ace in the game!